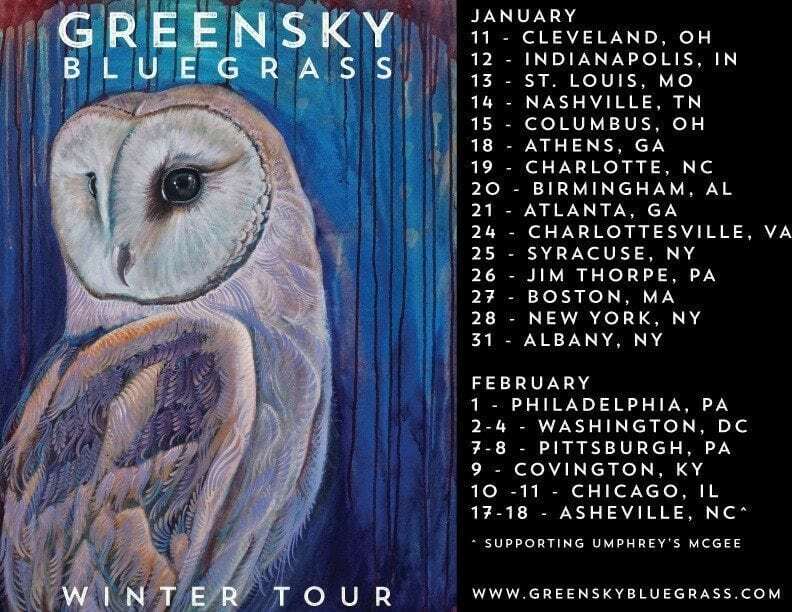 Greensky Bluegrass is kicking off the new year with a Winter 2017 Tour, starting on January 11th in Cleveland, OH. They will hit three dates in NY including Jan., 25th at the Westcott Theater with Fruition; Jan., 28th at the Playstation Theater in New York; and Jan., 31st at The Egg in Albany. Their tour dates span into mid-February, hitting other stops along the Northeast and Southeast, including a three-night run in DC at the beginning of February, and ultimately, bring them into the Midwest near the close of the tour. Greensky Bluegrass will be supporting Umphrey’s McGee in Asheville, NC at the ExploreAsheville.com Arena, for two nights of their three-night run for the second Annual Blue Ridge Rockway. 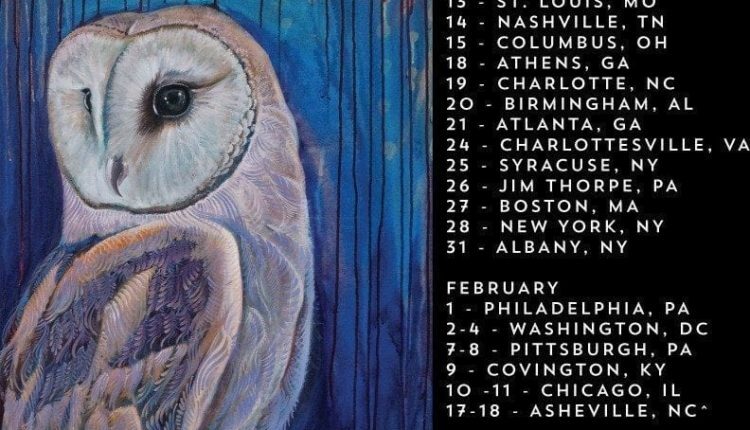 While their music infuses classic Americana style, there is a deep rawness that Greensky brings to the table with their big, expansive sound, which has helped to bring in a fervent fan base. 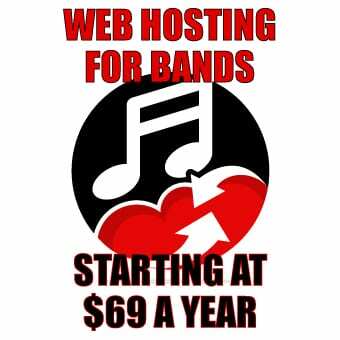 The Michigan group consists of Anders Beck (dobro), Michael Arlen Bont (banjo), Dave Bruzza (guitar), Mike Devol (upright bass) and Paul Hoffman (mandolin). General tickets went on sale yesterday, Oct., 28th. For tickets or more information, visit Greensky’s website.